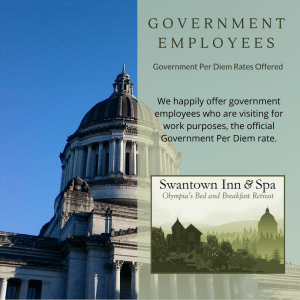 Celebrate, hold a meeting, or stage a retreat in the timeless elegance of Olympia’s Swantown Inn & Spa. 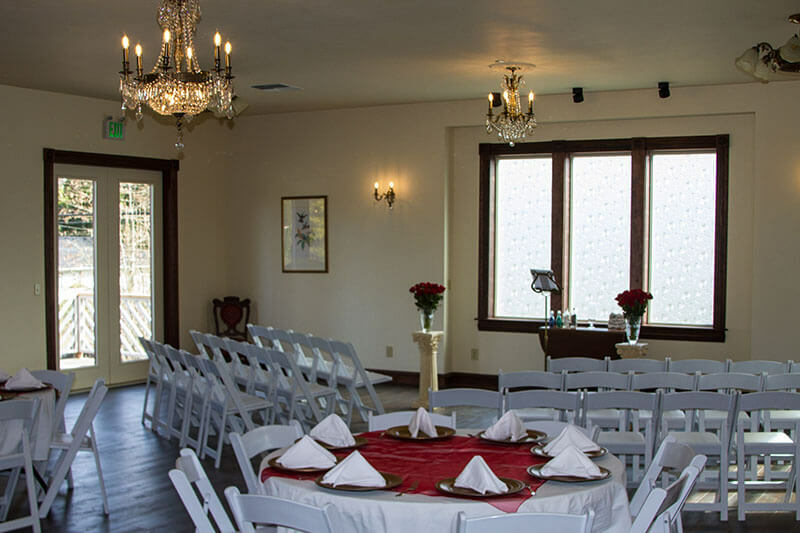 Our new event space, the Grand Victorian Ballroom, can accommodate up to 60 people. It features a bar area, serving espresso and baked goods. We can also cater breakfast, brunch, lunch or dinner. The Swantown Inn & Spa has been holding weddings on the property for over 20 years. Current owners, Nathan and Casey, have been perfecting the art of smaller weddings for over 13 of those years. Specialising in elopements, petite and intimate weddings, where we take care everything for you. Couples over the years have appreciated the removal of the stress from planning a wedding and holding a reception. Of course for those of you who like to plan every last detail yourself we also offer al a carte pricing as well. Check out our wedding page for a quick look at what we offer. For more detail please see our Olympia Weddings Web site, including the costs and our policies regarding holding a wedding at the Inn. 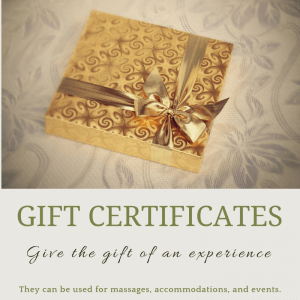 We have packages for every budget and size up to 60 people. Although we have specialized in weddings for the past 20 years, we have had the occasional event that was not related to that particular life event! With the creation of the new event space there is nothing stopping us from holding other events. Yes we are a great place for a festive event or celebration, but we also are set up for business! No need to be stuck in a stuffy meeting room, as our event space provides all the amenities you need in a more relaxed, laid back setting. The function room can cater to your audio visual needs. WiFi is provided as part of your rental fee. For price guides and more details check our events page.